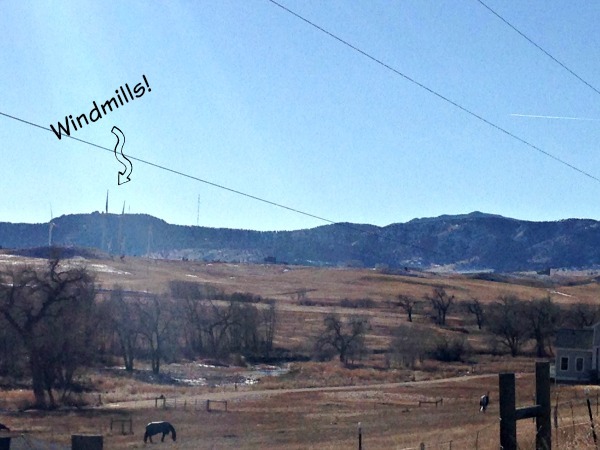 If you look out my beautiful back window at my mountains and cow pasture, in the distance you’ll see a few windmills. I even took a hike to get a closer picture for you…but still a little hard to see. Today I’m happy to share Xcel Energy’s wind powered program called Windsource. Since we are new to the state, Xcel Energy is new to us, but I am super excited to write this post and learn more about how they bring wind power to their customers. Now I don’t know if these are Xcel Energy’s windmills above, but they very well might be. P’Diddy likes to point them out to me almost daily and report in if they are on or off that day. Gosh, I love nature. It’s powerful! As the nation’s No. 1 wind power provider for the past decade, Xcel Energy knows that wind energy is more than an environmental choice. Wind can help to keep energy rates affordable by protecting customers against rising fuel and other costs. 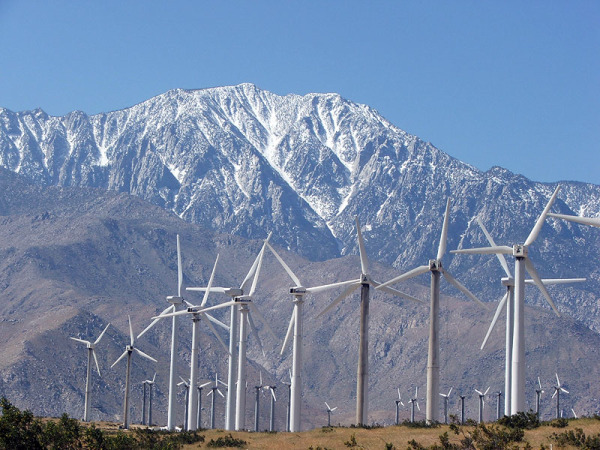 The force of the wind can be used to generate electricity. 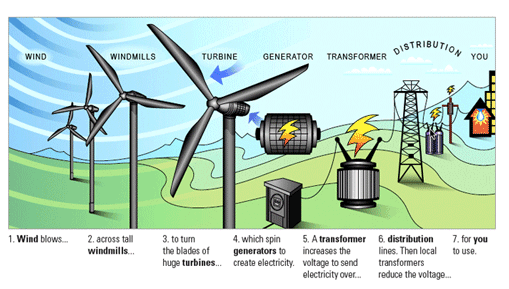 Wind blowing over the blades of a wind machine or turbine causes the blades to turn a shaft that runs a generator, which produces electricity. The fuel is free, and it’s a clean source of electricity, producing no air emissions or waste. I also learned that the placement of the windmills is very important, a place where stong, steady winds occur. This makes since because my house is very windy at the foothills of the mountains! Xcel Energy’s wind power program is one of the nation’s leading voluntary green power programs and currently operates in five of Xcel Energy’s eight states: Colorado, Minnesota, New Mexico, Wisconsin and Michigan. Windsource enables Xcel Energy’s electric customers to purchase renewable energy, generated above and beyond the renewable energy in our standard energy supply. 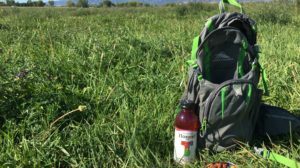 The program offers customers a choice on how they want to use energy. Windsource customers pay a small premium in return for the environmental attributes of the renewable energy, giving them the right to make the claim that they are powered by renewable energy. Love this statistic: Xcel Energy holds a record. On October 31, 2014 at 11 p.m., wind power was supplying 61.12% of the power on our system in Colorado. Get more information and sign up today for Xcel Energy Windsource. I can’t wait to! Disclaimer: This is a sponsored conversation written by me on behalf of Xcel Energy. The opinions and text are all mine and links may be affiliate.